With the leisure sector growing rapidly as one of our specialist areas of interior design and fit out, we have recognised that there are many different types of interior solutions when dealing with leisure facilities such as hotels, restaurants, sports facilities and public houses. Lockwood Projects have the skills and resources available to provide interiors tailored to your requirements whether it be a traditional approach or a slick, modern interior, we have the skills and experience to do so. Like you we are an expert in our field with a variety of successful projects each providing a different set of challenges and requirements. 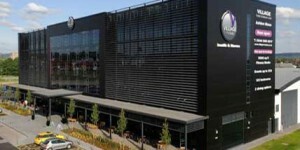 Projects range from hotels to restaurants to public houses and include new builds, full refurbishments and fit outs. We understand the particular importance of keeping to deadlines through the duration of projects within the leisure sector, to ensure businesses are open to the public as soon as possible. Village Hotel – Fit out of new build hotel comprising of en- suite bedrooms and leisure facilities including gym, swimming pool and sauna. 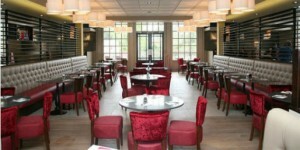 Toby Carvery – Refurbishment and fit out of restaurant, kitchen and public facilities. A public house was converted into a modern restaurant read more…..
Finch House – Refurbishment and fit out of an artisan bakery / café. All building and fit out work completed, plus decoration and installation of bespoke furniture. read more…..
Lockwood Project are committed to working for the Healthcare sector whether they be public or private sector. We will ensure that your facilities meet the requirements of healthcare providers as well as the needs of the employees and patients. With a client list that includes some of the UK’s biggest retail organisations, Lockwood projects has a growing retail construction project portfolio of developments for brands such as Debenhams and Londis. Website Development by Redesign Ltd.